Vidickiene, D.; Gedminaite-Raudone, Z. 2019. Servitization as a Tool to Increase Vitality of Ageing Rural Community. In European Countryside, Vol. 11, Issue 1, p. 85–97; online ISSN:1803-8417; 10.2478/euco-2019-0006; [AGRICOLA (National Agricultural Library); AGRIS; Baidu Scholar; CABI (over 50 subsections); CNKI Scholar (China National Knowledge Infrastructure); CNPIEC – cnpLINKer; Dimensions; DOAJ (Directory of Open Access Journals); EBSCO (relevant databases); EBSCO Discovery Service; EconBiz; Engineering Village; ERIH PLUS (European Reference Index for the Humanities and Social Sciences); Genamics JournalSeek; GeoArchive; Geobase; Google Scholar; International Bibliography of the Social Sciences (ProQuest); Japan Science and Technology Agency (JST); J-Gate; JournalTOCs; KESLI-NDSL (Korean National Discovery for Science Leaders); Microsoft Academic; Naviga (Softweco); Primo Central (ExLibris); ProQuest (relevant databases); Publons; QOAM (Quality Open Access Market); ReadCube; Reaxys; Research Papers in Economics (RePEc); SCImago (SJR); SCOPUS; Summon (ProQuest); TDNet; Ulrich's Periodicals Directory/ulrichsweb; WanFang Data; Web of Science - Emerging Sources Citation Index; WorldCat (OCLC)]. Streimikiene, D; Balezentis, T.; Alisauskaite-Seskiene, I.; Stankuniene, G.; Simanaviciene, Z. 2019. A Review of Willingness to Pay Studies for Climate Change Mitigation in the Energy Sector. In Energies. Vol. 12, Issue 8, 1481; EISSN 1996-1073; https://doi.org/10.3390/en12081481; [AGORA (FAO)external link; AGRIS - Agricultural Sciences and Technology (FAO)external link; CAB Abstracts (CABI)external link; Chemical Abstracts (ACS)external link; Current Contents - Engineering, Computing & Technology (Clarivate Analytics)external link; DOAJ - Directory of Open Access Journalsexternal link; EconPapers (RePEc)external link; Ei Compendex / Engineering Village (Elsevier)external link; ETDE - Energy Technology Data Exchange (IEA)external link; Genamics JournalSeekexternal link; HINARI (WHO)external link; IDEAS (RePEc)external link; Inspec (IET)external link; Journal Citation Reports / Science Edition (Clarivate Analytics)external link; Julkaisufoorumi Publication Forum (Federation of Finnish Learned Societies)external link; LAPSE - Living Archive for Process Systems Engineeringexternal link; Norwegian Register for Scientific Journals, Series and Publishers (NSD)external link; RePEcexternal link; Science Citation Index Expanded - Web of Science (Clarivate Analytics)external link; Scopus (Elsevier)external link; Web of Science (Clarivate Analytics)external link]. Zhang, C.; Chen, C.; Streimikiene, D.; Balezentis, T. 2019. Intuitionistic fuzzy MULTIMOORA approach for multi-criteria assessment of the energy storage technologies. In Applied Soft Computing. Vol. 79, p. 410-423; ISSN: 1568-4946; https://doi.org/10.1016/j.asoc.2019.04.008; [Scopus; Science Citation Index Expanded; CompuMath Citation Index; Current Contents/Engineering, Computing & Technology]. Melnikienė R., Vidickienė D. 2019. Lietuvos žemės ūkio politikos vertinimas remiantis kokybinės struktūros analizės metodu. Viešoji politika ir administravimas /Public policy and administration. Vol. 18, No 1, p. 52-67, online ISSN 2029-2872; print ISSN 1648-2603; http://dx.doi.org/10.5755/j01.ppaa.18.1.23128 [Scopus; EBSCO Publishing; Inc.; C.E.E.O.L. ; PROQUEST; ULRICH'S]. Raišienė, A. G., Yatsenko, O., Nitsenko, V., Karasova, N., & Vojtovicova, A. 2019. Global dominants of Chinese trade policy development: Opportunities and threats for cooperation with Ukraine. In Journal of International Studies. Vol. 12, No. 1, 193-207; ISSN: 2306-3483 online, 2071-8330 print; doi:10.14254/2071-8330.2019/12-1/13;[MS&HE (Poland), List "B", rating score 11 pts. (2015); Index Copernicus (2012) ICV 2012: 6.78; GESIS (2012); EBSCOhost Online research databases (2013): Business Source International; SCIENCE INDEX (2013); EconLit (2013); BazEkon (2013); Norwegian Social Science Data Services (NSD) (2013); Ulrich's Periodicals Directory (2013); Cabell's Directory (2014); WorldCat (2014); ERIH PLUS (2014); BazHum (2015); DOAJ (2015); SCOPUS (2016 back-cited from 2009); JUFO, Level 1 (2013)]. Volkov, A.; Balezentis, T.; Morkunas, M.; Streimikiene, D. 2019. Who Benefits from CAP? The Way the Direct Payments System Impacts Socioeconomic Sustainability of Small Farms. In Sustainability. Vol. 11, Issue 7, 2112, EISSN 2071-1050; https://doi:10.3390/su11072112; [AGORA (FAO); AGRICOLA (National Agricultural Library); AGRIS - Agricultural Sciences and Technology (FAO); Animal Science Database (CABI); CAB Abstracts (CABI); Chemical Abstracts (ACS); Current Contents - Agriculture, Biology & Environmental Sciences (Clarivate Analytics); Current Contents - Social & Behavioral Sciences (Clarivate Analytics); DOAJ - Directory of Open Access Journals; EconPapers (RePEc); FSTA - Food Science and Technology Abstracts (IFIS); Genamics JournalSeek; GeoBase (Elsevier); Global Health (CABI); HINARI (WHO); IDEAS (RePEc); Inspec (IET); Journal Citation Reports / Science Edition (Clarivate Analytics); Journal Citation Reports / Social Science Edition (Clarivate Analytics); RePEc; Review of Agricultural Entomology (CABI); Science Citation Index Expanded - Web of Science (Clarivate Analytics); Scopus (Elsevier); Social Sciences Citation Index - Web of Science (Clarivate Analytics); Web of Science (Clarivate Analytics)]. Jurkėnaitė, N.; Paparas, D. 2019. Lithuanian carrot market: production, foreign trade, and price transmission issues. In Ukrainian Food Journal. Vol. 8, Issue 1, p.181–193; online ISSN 2313–5891; print ISSN 2304–974X; DOI: 10.24263/2304-974X-2019-8-1-17; [Emerging Sources Citation Index (Web of Science Core Collection), Google Scholar, Index Copernicus, Directory of Research Journal Indexing (DRJI), EBSCO, Ulrichs Web, Cabi Full Text, ERIH PLUS (European Reference Index for the Humanities and the Social Sciences), Directory of Open Access Scholarly Resources, Directory of Open Access Journals, InfoBase Index, CAS Source Index (CASSI), FSTA (Food Science and Technology Abstracts)]. Remeikienė, R., Gasparėnienė, L. 2019. Assessment of the impact of emigration on the origin economy. Verslas: teorija ir praktika / Business: theory and practice, 20: 187–195. ISSN:1648-0627 / eISSN:1822-4202; https://doi.org/10.3846/btp.2019.18; [DOAJ (Directory of Open Access Journals); EBSCOhost: Business Source Complete; Central & Eastern European Academic Source, TOC Premier; Elsevier Bibliographic Databases: SCOPUS; ERIH Plus; Gale®: Academic OneFile; Google Scholar; ICONDA (The International CONstruction DAtabase); Microsoft Academic; MyScienceWork; OpenAIRE2020 (deposit publications); ProQuest: Summon™, Ulrichsweb™]. Streimikiene, D; Baležentis, T. 2019. Innovative Policy Schemes to Promote Renovation of Multi-Flat Residential Buildings and Address the Problems of Energy Poverty of Aging Societies in Former Socialist Countries. In Sustainability. Vol. 11, Issue 7, 2015, EISSN 2071-1050; doi:10.3390/su11072015; [AGORA (FAO); AGRICOLA (National Agricultural Library); AGRIS - Agricultural Sciences and Technology (FAO); Animal Science Database (CABI); CAB Abstracts (CABI); Chemical Abstracts (ACS); Current Contents - Agriculture, Biology & Environmental Sciences (Clarivate Analytics); Current Contents - Social & Behavioral Sciences (Clarivate Analytics); DOAJ - Directory of Open Access Journals; EconPapers (RePEc); FSTA - Food Science and Technology Abstracts (IFIS); Genamics JournalSeek; GeoBase (Elsevier); Global Health (CABI); HINARI (WHO); IDEAS (RePEc); Inspec (IET); Journal Citation Reports / Science Edition (Clarivate Analytics); Journal Citation Reports / Social Science Edition (Clarivate Analytics); RePEc; Review of Agricultural Entomology (CABI); Science Citation Index Expanded - Web of Science (Clarivate Analytics); Scopus (Elsevier); Social Sciences Citation Index - Web of Science (Clarivate Analytics); Web of Science (Clarivate Analytics)]. Baležentienė, L.; Mikša, O.; Baležentis, T.; Streimikiene, D. 2019. Seasonal Net Carbon Exchange in Rotation Crops in the Temperate Climate of Central Lithuania. In Sustainability. Vol. 11, Issue 7, 1966, EISSN 2071-1050; doi:10.3390/su11071966; [AGORA (FAO); AGRICOLA (National Agricultural Library); AGRIS - Agricultural Sciences and Technology (FAO); Animal Science Database (CABI); CAB Abstracts (CABI); Chemical Abstracts (ACS); Current Contents - Agriculture, Biology & Environmental Sciences (Clarivate Analytics); Current Contents - Social & Behavioral Sciences (Clarivate Analytics); DOAJ - Directory of Open Access Journals; EconPapers (RePEc); FSTA - Food Science and Technology Abstracts (IFIS); Genamics JournalSeek; GeoBase (Elsevier); Global Health (CABI); HINARI (WHO); IDEAS (RePEc); Inspec (IET); Journal Citation Reports / Science Edition (Clarivate Analytics); Journal Citation Reports / Social Science Edition (Clarivate Analytics); RePEc; Review of Agricultural Entomology (CABI); Science Citation Index Expanded - Web of Science (Clarivate Analytics); Scopus (Elsevier); Social Sciences Citation Index - Web of Science (Clarivate Analytics); Web of Science (Clarivate Analytics)]. Namiotko, V., Galnaitytė, A., Baležentis, T., & Wang, P. 2019. The impact of investment support on labour productivity in Lithuanian family farms: A propensity score matching approach. In Economics and Sociology. Vol. 12, No 1, p. 342-352; ISSN 2071-789X, DOI: 10.14254/2071-789X.2019/12-1/21; [EconLit (2010); EBSCOhost Online research databases (2011): Business Source Complete (2011), SocINDEX (2011); IndexCopernicus (2011), ICV 2014: 100; Ulrich's Periodicals Directory (2012); GESIS: Knowledge Base Social Sciences Eastern Europe (2012); SCOPUS (2012, back-cited from 2008); Cabell's Directory (2012); ProQuest (2012); SCIENCE INDEX (2013); Norwegian Social Science Data Services (NSD) (2013); BazEkon (2013); CAB Abstracts - ISI Thomson Reuters (2013); MS&HE (Poland), List "B", rating score 15 pts. (2015); ERIH PLUS (2014); WorldCat (2014); DOAJ (2015); BazHum (2015); Emerging Sources Citation Index (ESCI) - Thomson Reuters (2015); Web of Science - Thomson Reuters (2015); JUFO, Level 1 (2013); BFI list, Level 1 (2017); Academic Journal Guide, CABS (2018)]. Remeikienė, R., Gasparėnienė, L., Ginevičius, R. 2019.The specificity of the investment in land as in real estate. In International Journal of Strategic Property Management. Vol. 23, Issue 4, p. 244–255. ISSN: 1648-715X / eISSN: 1648-9179; https://doi.org/10.3846/ijspm.2019.8092; [Social Sciences Citation Index; Journal Citation Reports (SSCI edition); InCites]. Wu B.; Li T.; Baležentis T.; Štreimikienė D. 2019. Impacts of income growth on air pollution-related health risk: Exploiting objective and subjective measures. In Resources, Conservation & Recycling. Vol. 146, p. 98-105; ISSN: 0921-3449; https://doi.org/10.1016/j.resconrec.2019.03.037; [Fuel and Energy Recycling; EIC/Intelligence; Engineering Village – GEOBASE; BIOSIS; Chemical Abstracts; Coal Abstracts; Coal Data Base (IEA); Computer Contents; Current Contents; Energy Information Abstracts; Engineering Index; Environmental Abstracts; Environmental Health & Pollution Control; Environmental Periodicals Bibliography; EMBASE; PASCAL/CNRS; Waste Management Information Bulletin; World Aluminum Abstracts; Engineered Materials Abstracts; Materials Business Information; Metals Abstracts; Scopus; Chemical Engineering Abstracts; Elsevier BIOBASE; Science Citation Index Expanded]. Remeikiene R.; Gaspareniene L.; Sadeckas A. 2019. 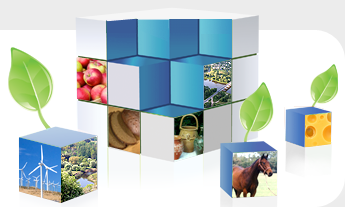 The determinants of the competitiveness of Lithuanian export: macroeconomic approach. In Business: Theory and Practice. Issue 20, p. 170-178; ISSN 1648-0627; eISSN 1822-4202; https://doi.org/10.3846/btp.2019.16; [Dimensions; DOAJ (Directory of Open Access Journals); EBSCOhost: Business Source Complete; Central & Eastern European Academic Source, TOC Premier; Elsevier Bibliographic Databases: SCOPUS; ERIH Plus; Gale®: Academic OneFile; Google Scholar; ICONDA (The International CONstruction DAtabase); Microsoft Academic; MyScienceWork; OpenAIRE2020 (deposit publications); ProQuest: Summon™ , Ulrichsweb™]. Lu, J., Ren, L., Lin, W., He, Y., Streimikis, J. 2019. Policies to promote Corporate social responsibility (CSR) and assessment of CSR impacts. In Business Administration and Management. Vol. XXII, 1, p. 82-98; ISSN: 1212-3609; DOI: 10.15240/tul/001/2019-1-006; [Science Citation Index Expanded, Social Sciences Citation Index]. Wu, G.; Baležentis, T.; Sun, C.; Xu, S. 2019. Source control or end-of-pipe control: Mitigating air pollution at the regional level from the perspective of the Total Factor Productivity change decomposition. In Energy Policy. Vol. 129; p. 1227-1239, ISSN: 0301-4215, https://doi.org/10.1016/j.enpol.2019.03.032; [Current Contents; Engineering Village – GEOBASE; INSPEC; ABI/Inform; Environmental Sciences & Pollution Management; Pais International; Scopus; Journal of Economic Literature; CAB Abstracts; CSA Sustainability Science Abstracts; COMPENDEX; Current Abstracts; Environment Complete; Environment Index; GeoRef; INIS Atomindex; International Bibliography of the Social Sciences; PubMed; Referativnyi Zhurnal VINTI-RAN (Russian Academy of Sciences); Science Citation Index Expanded; Sociological Abstracts; Social Sciences Citation Index; Web of Science; Gale Academic OneFile; FRANCIS; Fuel and Energy Abstracts; Periodical Abstracts PlusText; Agricultural Economics Database; Biofuels Abstracts; Environmental Impact; Energy & Power Source; Public Affairs Information Service Bulletin; Engineering Information Database EnCompass LIT (Elsevier); Business Periodicals Index; CSA Engineering Research Database (Cambridge Scientific Abstracts); CSA Technology Research Database; Engineering Index Monthly; Pollution Abstracts; TOC Premier]. Song, M.; Wang, S.; Baležentis, T. 2019. Biased Policy, Human Capital Distribution and Green Technical Progress. In Economic Computation and Economic Cybernetics Studies and Research. Vol. 53, Issue 1, p. 247-264, online ISSN 1842–3264 ; print ISSN 0424–267 X; DOI: 10.24818/18423264/53.1.19.16; [Science Citation Index Expanded; Social Sciences Citation Index; Social Scisearch; Journal Citation Reports/Social Sciences Edition]. Baležentis, T.; Štreimikienė, D. 2019. Sustainability in the Electricity Sector through Advanced Technologies: Energy Mix Transition and Smart Grid Technology in China. In Energies. Vol. 12, Issue 6, 1142; EISSN 1996-1073; https://doi.org/10.3390/en12061142; [AGORA (FAO); AGRIS - Agricultural Sciences and Technology (FAO); CAB Abstracts (CABI); Chemical Abstracts (ACS); Current Contents - Engineering, Computing & Technology (Clarivate Analytics); DOAJ - Directory of Open Access Journals; EconPapers (RePEc); Ei Compendex / Engineering Village (Elsevier); ETDE - Energy Technology Data Exchange (IEA); Genamics JournalSeek; HINARI (WHO); IDEAS (RePEc); Inspec (IET); Journal Citation Reports / Science Edition (Clarivate Analytics); Julkaisufoorumi Publication Forum (Federation of Finnish Learned Societies); LAPSE - Living Archive for Process Systems Engineering; Norwegian Register for Scientific Journals, Series and Publishers (NSD); RePEc; Science Citation Index Expanded - Web of Science (Clarivate Analytics); Scopus (Elsevier);Web of Science (Clarivate Analytics)]. Vilke, R.; Gedminaite-Raudone, Z.; Cvijanovic, D. 2019. 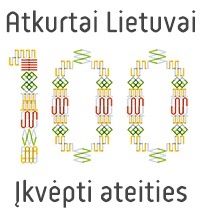 Future Drivers of Rural Prosperity in Knowledge Age: Lithuanian Case. In Economics of Agriculture. Vol. 66, No. 1, p. 143-157; ISSN online 2334-8453 / ISSN print 0352-3462; DOI:10.5937/ekoPolj1901143V; [Clarivate Analytics Emerging Sources Citation Index (ESCI); EBSCO; DOAJ; ERIH PLUS; Mendeley; AgEcon Search; Social Science Research Network (SSRN); ProQuest; Library of Congress E-Resources Online Catalog; Ingenta Connect; Ulrich’s Periodicals Directory; CABI; J-Gate; The World Wide Web Virtual Library for European Integration; SCIndeks; The digital repository of the National Library of Serbia; doiSerbia; EconLit; Index Copernicus Journals Master List (ICV2013: 5,22); WorldCat]. Wang, J., Cao, Ch., Zeng, Sh., Balezentis, T. 2019. Weighted Induced Aggregation Euclidean Distance Operators for the Decision Making of Robot Selection. In Transformations in Business & Economics. Vol. 18, No 1 (46), p. 81-94; ISSN 1648-4460; [ISI Web of Science (& Master Journal List) by Thomson Services (2006, back-cited from 2005); Social Sciences Citation Index (2006); Social SciSearch (2006); Journal Citation Reports / Social Sciences Edition (2006); EBSCO (EconLit with Full Text) (2007); IBSS (2004); EconLit (2005); e-JEL (2005); JEL on CD (2005); SCOPUS (2007); Cabell’s Directory (2008)]. Minelgaitė, A., Liobikienė, G. 2019. Waste problem in European Union and its influence on waste management behaviour. In Science of the Total Environment. Vol. 667, p. 86–93; https://doi.org/10.1016/j.scitotenv.2019.02.313; [Science Citation Index Expanded, Social Sciences Citation Index]. Simionescu, M., Bilan, Y., Streimikiene, D. 2019. The Impact of Biodiesel Consumption by Transport on Economic Growth in the European Union. In Inzinerine Ekonomika-Engineering Economics. Vol. 30, No 1, p. 50–58; Print ISSN: 1392-2785; Online ISSN: 2029-5839; DOI: http://dx.doi.org/10.5755/j01.ee.30.1.21831; [Science Citation Index Expanded, Social Sciences Citation Index]. Cavallaro, F., Zavadskas, E. K., Streimikiene, D., Mardani A. 2019. Assessment of concentrated solar power (CSP) technologies based on a modified intuitionistic fuzzy topsis and trigonometric entropy weights. In Technological Forecasting and Social Change. Volume 140, p. 258-270; https://doi.org/10.1016/j.techfore.2018.12.009 [Science Citation Index Expanded, Social Sciences Citation Index]. Rabe, M.; Streimikiene, D.; Bilan, Y. 2019. The Concept of Risk and Possibilities of Application of Mathematical Methods in Supporting Decision Making for Sustainable Energy Development. In Sustainability. Vol. 11, Issue 4, 1018; EISSN 2071-1050; DOI: https://doi.org/10.3390/su11041018; [Science Citation Index Expanded, Social Sciences Citation Index]. Kazemilari, M., Mohamadi, A., Mardani, A., Streimikis, J. 2019. Network topology of renewable energy companies: minimal spanning tree and sub-dominant ultrametric for the American stock. In Technological and Economic Development of Economy, Vol. 25, No 2, p. 168-187; https://doi.org/10.3846/tede.2019.7686; [Science Citation Index Expanded, Social Sciences Citation Index]. Podviezko, A.; Parfenova, L.; Pugachev, A. 2019. Tax Competitiveness of the New EU Member States. In Journal of Risk and Financial Management. Vol. 12, Issue 1, 34, EISSN 1911-8074; https://doi.org/10.3390/jrfm12010034; [DOAJ - Directory of Open Access Journals; EconLit (American Economic Association); EconPapers (RePEc); Emerging Sources Citation Index - Web of Science (Clarivate Analytics); Genamics JournalSeek; IDEAS (RePEc); RePEc; Web of Science (Clarivate Analytics); CLOCKSS (Digital Archive); e-Helvetica (Swiss National Library Digital Archive); Academic OneFile (Gale/Cengage Learning); EBSCOhost (EBSCO Publishing); J-Gate (Informatics India); ProQuest Central (ProQuest); Science In Context (Gale/Cengage Learning); WorldCat (OCLC)]. Bathaei, A.; Mardani, A.; Baležentis, T.; Awang, S. R.; Streimikiene, D.; Fei, G. C.; Zakuan, N. 2019. Application of Fuzzy Analytical Network Process (ANP) and VIKOR for the Assessment of Green Agility Critical Success Factors in Dairy Companies. In Symmetry. Vol. 11, Issue 2, 250, EISSN 2073-8994, https://doi.org/10.3390/sym11020250; [Chemical Abstracts (ACS); Current Contents - Physical, Chemical & Earth Sciences (Clarivate Analytics); dblp Computer Science Bibliography (Universität Trier); DOAJ - Directory of Open Access Journals; Genamics JournalSeek; HINARI (WHO); Inspec (IET); io-port (FIZ Karlsruhe); Journal Citation Reports / Science Edition (Clarivate Analytics); Julkaisufoorumi Publication Forum (Federation of Finnish Learned Societies); Science Citation Index Expanded - Web of Science (Clarivate Analytics); Scopus (Elsevier); Web of Science (Clarivate Analytics); zbMATH (FIZ Karlsruhe]. Biekša, T.; Baležentis, T. 2019. Formation of Theoretical and Methodological Assumptions in the Assessment of Significance of the Bioeconomy in the Country Economy. In Problemy Ekorozwoju – Problems of Sustainable Development. Vol. 14, No 1, p. 139-148, ISSN: 1895-6912. Galnaityte, A.; Namiotko, V.; Novickyte, L. 2019. Ex-post Economic Impact Assessment of Agri-Environmental Measure “Organic Farming”: Case Study of Lithuania. In International Journal of Contemporary Research in Agriculture and Environmental Sciences (IJCRAES), Vol. 1, Issue 1, p. 23-33, ISBN (eBook): 978-0-6481172-4-7; [CiteFactor Academic Scientific Journals, PRESERVED IN CLOCKSS, DJQF Directory of Journal Quality Factor, DOAJ Directory of Open Access Journals, DRJI Directory of Research Journals Indexing, GIF Global Impact Factor, ISI International Scientific Indexing, JIF Global Institute for Scientific Information (GISI), OAJI Open Academic Journals Index, Scholarsteer Scholarly Information, SIS Scientific Indexing Services]. Su, W.; Wang, Y.; Qian, L.; Zeng, S.; Baležentis, T.; Streimikiene, D. 2019. Creating a Sustainable Policy Framework for Cross-Border E-Commerce in China. In Sustainability. Vol. 11, Issue 4, EISSN 2071-1050, doi:10.3390/su11040943; [AGORA (FAO); AGRICOLA (National Agricultural Library); AGRIS - Agricultural Sciences and Technology (FAO); Animal Science Database (CABI); CAB Abstracts (CABI); Chemical Abstracts (ACS); Current Contents - Agriculture, Biology & Environmental Sciences (Clarivate Analytics); Current Contents - Social & Behavioral Sciences (Clarivate Analytics); DOAJ - Directory of Open Access Journals; EconPapers (RePEc); FSTA - Food Science and Technology Abstracts (IFIS); Genamics JournalSeek; GeoBase (Elsevier); Global Health (CABI); HINARI (WHO); IDEAS (RePEc); Inspec (IET); Journal Citation Reports / Science Edition (Clarivate Analytics); Journal Citation Reports / Social Science Edition (Clarivate Analytics); RePEc; Review of Agricultural Entomology (CABI); Science Citation Index Expanded - Web of Science (Clarivate Analytics); Scopus (Elsevier); Social Sciences Citation Index - Web of Science (Clarivate Analytics); Web of Science (Clarivate Analytics)]. Zhou, J.; Baležentis, T.; Streimikiene, D. 2019. Normalized Weighted Bonferroni Harmonic Mean-Based Intuitionistic Fuzzy Operators and Their Application to the Sustainable Selection of Search and Rescue Robots. In Symmetry. Vol. 11, Issue 2, 218, EISSN 2073-8994, doi:10.3390/sym11020218; [Chemical Abstracts (ACS); Current Contents - Physical, Chemical & Earth Sciences (Clarivate Analytics); dblp Computer Science Bibliography (Universität Trier); DOAJ - Directory of Open Access Journals; Genamics JournalSeek; HINARI (WHO); Inspec (IET); io-port (FIZ Karlsruhe); Journal Citation Reports / Science Edition (Clarivate Analytics); Julkaisufoorumi Publication Forum (Federation of Finnish Learned Societies); Science Citation Index Expanded - Web of Science (Clarivate Analytics); Scopus (Elsevier); Web of Science (Clarivate Analytics); zbMATH (FIZ Karlsruhe]. Mikalauskiene, A.; Štreimikis, J.; Mikalauskas, I.; Stankūnienė, G.; Dapkus, R. 2019. Comparative Assessment of Climate Change Mitigation Policies in Fuel Combustion Sector of Lithuania and Bulgaria. In Energies, Vol. 12, Issue 3, 529; EISSN 1996-1073; DOI: https://doi.org/10.3390/en12030529; [Science Citation Index Expanded, Social Sciences Citation Index]. Yin J., Yan Q., Lei K., Baležentis T., Streimikiene D. 2019. Economic and Efficiency Analysis of China Electricity Market Reform Using Computable General Equilibrium Model. In Sustainability. Vol. 11, Issue 2, 350; EISSN 2071-1050; doi:10.3390/su11020350; [AGORA (FAO); AGRICOLA (National Agricultural Library) ; AGRIS - Agricultural Sciences and Technology (FAO) ; Animal Science Database (CABI) ; CAB Abstracts (CABI) ; Chemical Abstracts (ACS); Current Contents - Agriculture, Biology & Environmental Sciences (Clarivate Analytics); Current Contents - Social & Behavioral Sciences (Clarivate Analytics); DOAJ - Directory of Open Access Journals; EconPapers (RePEc); FSTA - Food Science and Technology Abstracts (IFIS); Genamics JournalSeek; GeoBase (Elsevier); Global Health (CABI); HINARI (WHO); IDEAS (RePEc); Inspec (IET); Journal Citation Reports / Science Edition (Clarivate Analytics); Journal Citation Reports / Social Science Edition (Clarivate Analytics); RePEc; Review of Agricultural Entomology (CABI); Science Citation Index Expanded - Web of Science (Clarivate Analytics); Scopus (Elsevier); Social Sciences Citation Index - Web of Science (Clarivate Analytics); Web of Science (Clarivate Analytics)]. Baležentis, T.; Streimikiene, D.; Zhang, T.F. ; Liobikiene, G. 2019. The role of bioenergy in greenhouse gas emission reduction in EU countries: An Environmental Kuznets Curve modelling. In Resources, Conservation and Recycling, Vol.142, p. 225-231, https://doi.org/10.1016/j.resconrec.2018.12.019 ; [Fuel and Energy Recycling; EIC/Intelligence; Engineering Village – GEOBASE; BIOSIS; Chemical Abstracts; Coal Abstracts; Coal Data Base (IEA); Computer Contents; Current Contents; Energy Information Abstracts; Engineering Index; Environmental Abstracts; Environmental Health & Pollution Control; Environmental Periodicals Bibliography; EMBASE; PASCAL/CNRS; Waste Management Information Bulletin; World Aluminum Abstracts; Engineered Materials Abstracts; Materials Business Information; Metals Abstracts; Scopus; Chemical Engineering Abstracts; Elsevier BIOBASE; Science Citation Index Expanded]. Zhang, C.H. ; Wang, Q.; Zeng, S.Z. ; Baležentis, T.; Štreimikienė, D.; Ališauskaitė-Šeškienė, I.; Chen, X.L. 2019. Probabilistic multi-criteria assessment of renewable micro-generation technologies in households, Journal of Cleaner Production, Vol. 212, p. 582-592, https://doi.org/10.1016/j.jclepro.2018.12.051, [Geographical Abstracts; Engineering Village – GEOBASE; Fluid Abstracts; FLUIDEX; Scopus; Science Citation Index Expanded]. Baležentis, T.; Štreimikienė, D.; Melnikienė, R.; Zeng, S.Z.. 2019. Prospects of green growth in the electricity sector in Baltic States: Pinch analysis based on ecological footprint. In Resources, Conservation & Recycling. Vol.142. p. 37–48. https://doi.org/10.1016/j.resconrec.2018.11.013; [Fuel and Energy Recycling; EIC/Intelligence; Engineering Village – GEOBASE; BIOSIS; Chemical Abstracts; Coal Abstracts; Coal Data Base (IEA); Computer Contents; Current Contents; Energy Information Abstracts; Engineering Index; Environmental Abstracts; Environmental Health & Pollution Control; Environmental Periodicals Bibliography; EMBASE; PASCAL/CNRS; Waste Management Information Bulletin; World Aluminum Abstracts; Engineered Materials Abstracts; Materials Business Information; Metals Abstracts; Scopus; Chemical Engineering Abstracts; Elsevier BIOBASE; Science Citation Index Expanded]. Lingling Hou, Catherine Keske, Dana Hoag, Tomas Balezentis, Xiaobing Wang. Hou, L.L. ; Keske, C.; Hoag, D.; Balezentis, T.; Wang, X.B. 2019. Abatement costs of emissions from burning maize straw in major maize regions of China: Balancing food security with the environment, Journal of Cleaner Production 208: 178–187. Liobikienė, G., Butkus. M. 2019. Scale, composition, and technique effects through which the economic growth, foreign direct investment, urbanization, and trade affect greenhouse gas emissions. In Renewable Energy, Vol. 132, p. 1310-1322; https://doi.org/10.1016/j.renene.2018.09.032; [Science Citation Index Expanded, Social Sciences Citation Index]. Mardani, A., Streimikienė, D., Cavallaro, F., Loganathan, N., Khoshnoudi, M. 2019. Carbon dioxide (CO2) emissions and economic growth: A systematic review of two decades of research from 1995 to 2017. In Science of the Total Environment, 649, 31-49. [Science Citation Index Expanded, Social Sciences Citation Index]. Cavallaro F., Marino D., Streimikiene D. (2019) Environmental Assessment of a Solar Tower Using the Life Cycle Assessment (LCA). In: Calabrò F., Della Spina L., Bevilacqua C. (eds) New Metropolitan Perspectives. ISHT 2018. Smart Innovation, Systems and Technologies, Vol 101. pp 621-628, Online ISBN 978-3-319-92102-0. Print ISBN 978-3-319-92101-3. DOI https://doi.org/10.1007/978-3-319-92102-0_67 [Springer Nature; Conference proceedings].